The applications for the Post-graduation in Arts, Culture and Business in the Digital Era are open. 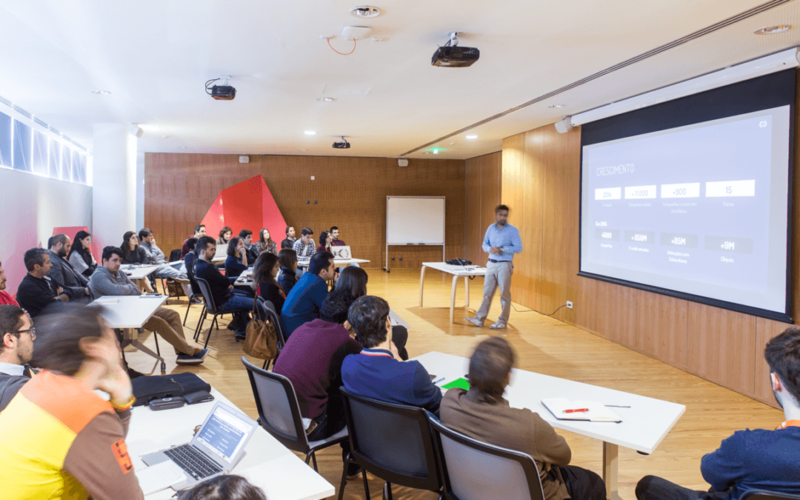 The course is the result of a partnership between the Schools of Fine Arts, Economics, Arts, as well as the Science and Technology Park of the University of Porto, and it aims to fill the gap in management training for the arts, culture and creativity. This training program is designed for active professionals and all those who wish to initiate their activity in domain of arts, culture and creativity, whether individually or within an organization (companies, associations, or other public or private institutions), and it will run in an immersive environment, at the premises of UPTEC Baixa (creative industries centre). For Clara Gonçalves, executive director of UPTEC and member of the Scientific Commission, this course stands out by presenting “an interdisciplinary and critical perspective, that integrates theoretical, pratical and experimentation within immersive contexts”. On the other hand, the post-graduation “promotes the development of skills for creativity, innovation and entrepreneurship, within a sustainable and responsible matrix, where cooperation and international networking are essential.”. The study plan covers themes as “Creation, production, agency and artistic direction”, “Digital cultures”, “Identity, planning and strategic development”, “Intellectual property and business models” and “Image and communication”. Beyond theoretical contents, the course promotes contact with specialized professionals and application/ experimentation in projects developed by students throughout the programme. The registration period runs until January 25th and the applications can be made here.